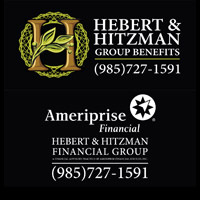 Please support our sponsors and community partners! St. Tammany Parish Hospital & Ochsner are proud to sponsor Stone Creek Club & Spa. 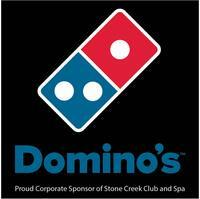 Domino's Pizza and Ameriprise Financial/Hebert & Hitzman are proud sponsors of Stone Creek Tennis. Stone Creek Club & Spa has partnered with Money Hill Golf and Country Club - one of the South’s Premier Golf Clubs - to offer an exclusive discount for Stone Creek Members. Call Money Hill at 985.892.3300 to reserve your tee time and pay only $71.09 per person on weekdays or $82.09 per person on weekends. Then simply present your Stone Creek membership card when you arrive at Money Hill. Prices include cart fees and apply for Stone Creek Members and their accompanying guests, up to a total of 8 players. Stone Creek Members are limited to a total of 6 visits at Money Hill per year. Tee time availability may be limited. Reservations are available as early as 5 days in advance up to 48 hours in advance. See Stone Creek’s Member Services Team for more details, or call Money Hill at 892.3300 to reserve your tee time. Stone Creek members receive one free consultation at The Movement Science Center - Northshore. Stone Creek Members save $25 per month on an annual membership for Rookie (ages 7-11) & Developmental (ages 12-14) Programs. Stone Creek members receive 10% off your entire purchase at Pinkberry Mandeville. Stone Creek members receive a free 30-minute consultation with the Doctors (new patients only) at Wellness in Motion Chiropractic. Stone Creek members receive 15% off eyewear (including sunwear) & eye exams at Louisiana Family Eyecare. *Some restrictions apply. Stone Creek members, come brighten your day & your smile! Schedule a dental cleaning and receive a comprehensive dental exam and x-rays at no charge. As a new patient, you also receive a complimentary teeth whitening kit. Please mention your Stone Creek membership when scheduling your appointment. La Bella Vita Laser and Vein Center has partnered with Stone Creek to offer FREE vein screenings. Simply show your membership card or keytag at check-out to receive the discount! (not applicable with any other offer or discount). Call to reserve your appointment. Receive a free chiropractic evaluation with your Stone Creek membership card. Call 985-259-7774 to schedule your appointment. Stone Creek members receive $500 off each pair of new hearing instruments at Creel Hearing Center. Stone Creek members receive $100 off any dermal filler, or Botox at $10/unit at Dr. Elizabeth Kinsley's office. If you would like your business to be featured as a Stone Creek Community Partner, please contact Marketing Manager Stephanie Coulon.